"Our Lady Undercroft". 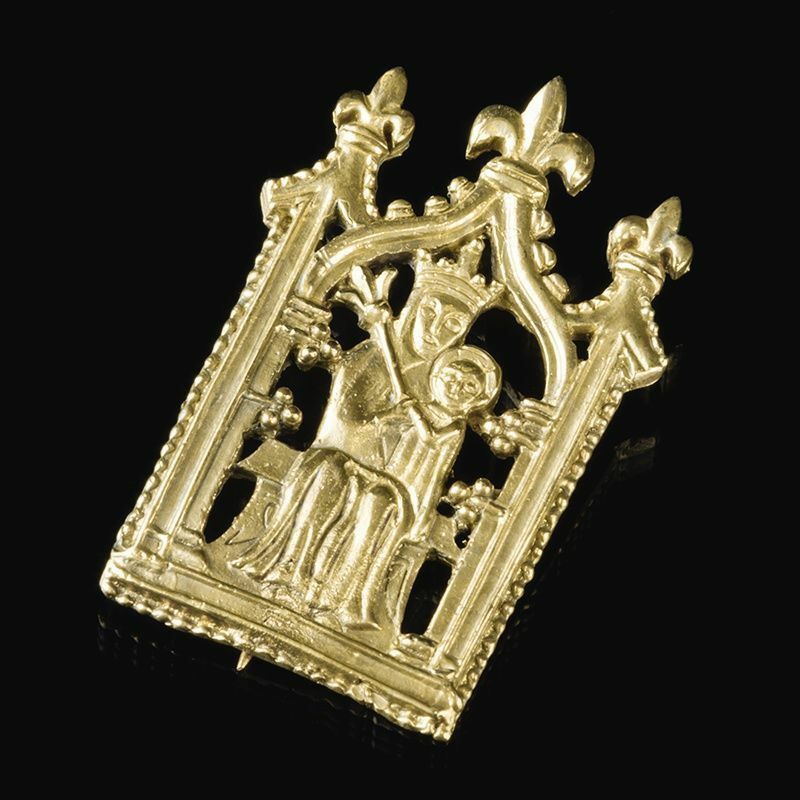 The badge belongs to the cult of Virgin Mary of Canterbury, England, 14c. From the book "Pilgrim Souvenirs and Secular Badges." Medieval custom secular "Crucifixion" badge.. Medieval custom obscene "Lion" badge.. 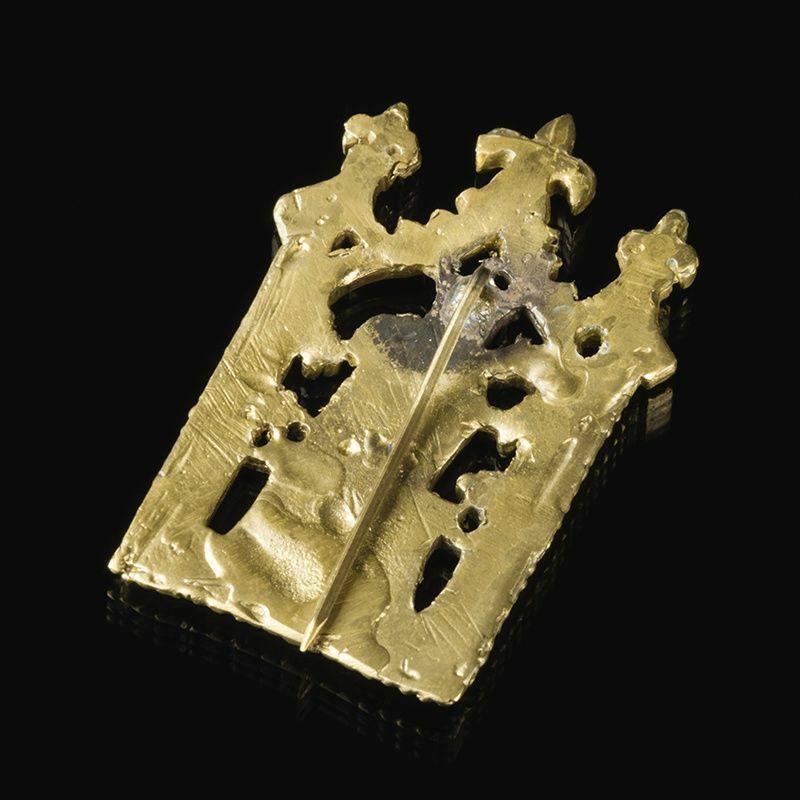 Bundle of arrows tied in the middle - a badge of Arthure, Prince of Wales (1486-1502) who was the son of Catherine of Aragon to whom the Pomegranate Branch Badge belonged.Badges were used by medieval pilgrims as souvenirs from the holy places which they had attended, as tangible proves of attendance such a holy place. Each place of cult had it's own badges so seeing a pilgrim wearing certain badges one could name the places which this pilgrim had visited. Also, so called secular badges existed which could belong to an authority or a noble who gave these badges to his/her courtiers, srevants, supporters and so on. Badges commemorating a major event existed, too. Size 60 x 35 m ..